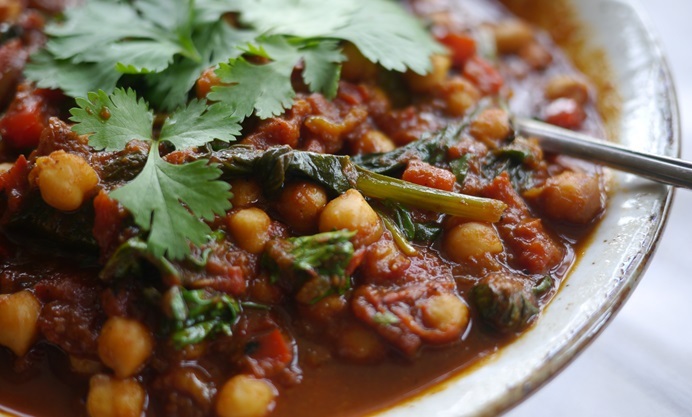 Make Victoria Glass' spinach and chickpea curry recipe for a healthy and delicious dinner, showing that you don't need a lot of fat and salt to make a tasty meal. Cutting down on sodium, butter and processed meats doesn’t mean you have to cut down on flavour. By adding a sprinkle of spice, you can enjoy dishes with real depth of flavour without any unwanted hidden calories. 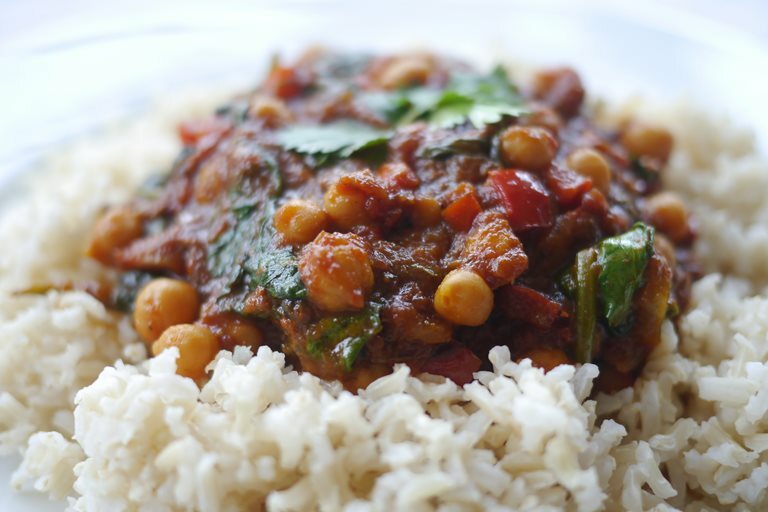 This simple spinach and chickpea curry is quick to prepare, high in nutrients and low in cholesterol. Chickpeas are rich in protein, iron (34% of daily recommended intake for 100g) and high in fibre, including soluble fibre, which can help to lower cholesterol. 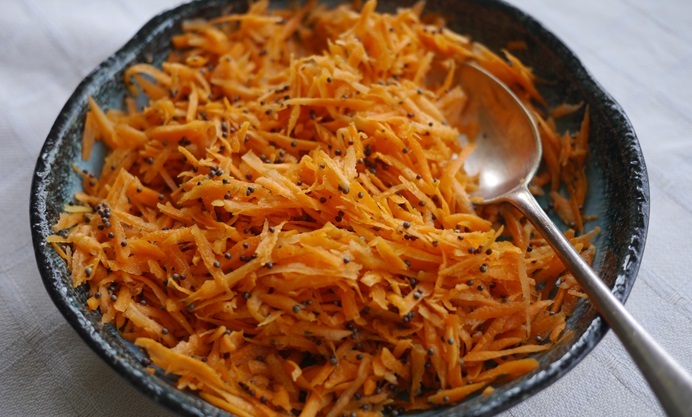 Vegetables should make up 33% of your diet and by eating this curry and carrot salad for supper you can tick off all of your 5-a-day in one meal and by choosing rapeseed over other oils, you can ensure you are ingesting Omega 3. Brown rice makes the perfect accompaniment. It takes a little longer to cook than white rice, but the nutty flavour makes it worth the wait. It also happens to be an excellent source of fibre, as well as a good source of B vitamins (with the exception of B12) and selenium. A single portion (75g dried weight) contains 10% of the daily recommended intake of iron for men (6% for women).